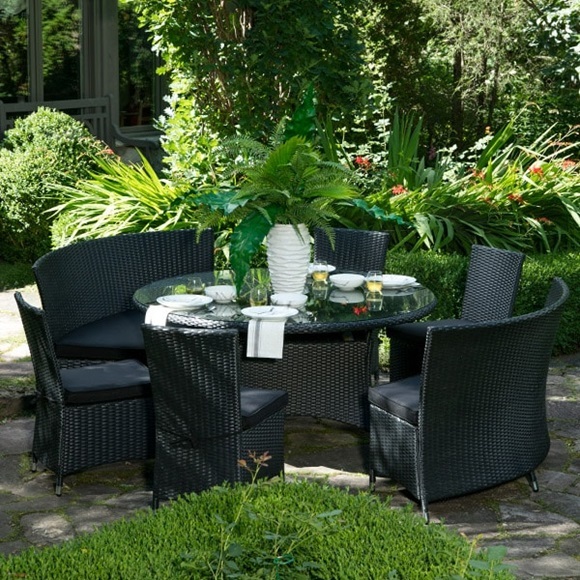 Enjoy the comfort of modern, luxurious dining with the St. Thomas Collection dining set. 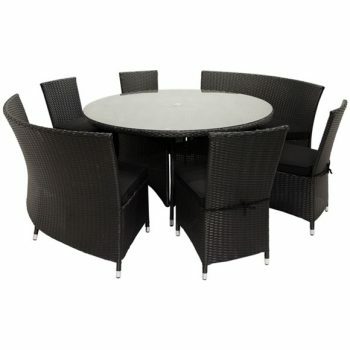 This spacious resin wicker set, framed with aluminum, includes a 59" round dining table, two curved dining benches, and four individual dining chairs. The St. Thomas dining is popular for its conversational design. 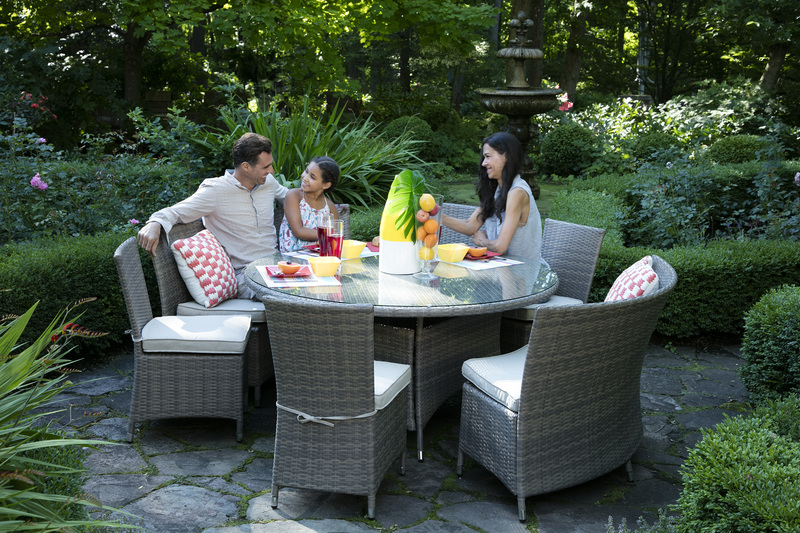 The round table is perfect for summertime dinners and the benches are perfect for little ones to get comfortable and colour or do some activities outside. Add an 11' Umbrella to give you the perfect sun coverage for hours outdoors. 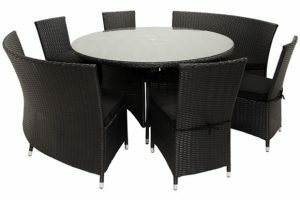 The St. Thomas 59" Round Wicker Dining Set Black includes 59" round table, 2 benches and 4 chairs. 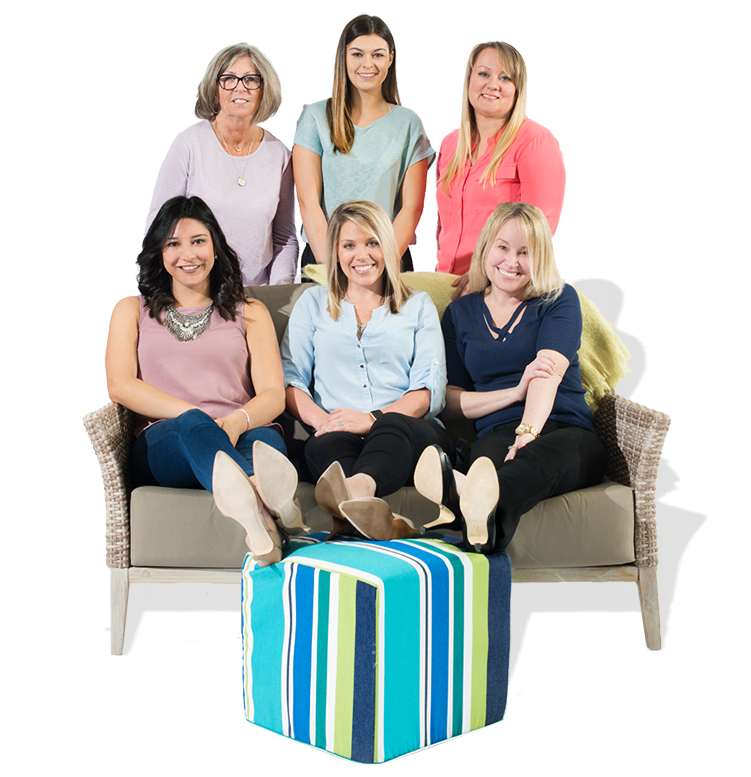 Each including their own seat cushion. A unique way to accommodate a large group for dinner.